Stocks on the Ho Chi Minh Stock Exchange successfully escaped a losing trend on July 19, as investors increased trading by the end of the session. VN-Index, a measure of 247 companies and four mutual funds on the city bourse, inched up 0.12 percent, or 0.63 points, to finish at 506.84 points. Among the index members, 80 stocks advanced, 109 fell, while 62 remained unchanged. Liquidity on the trading floor fell by 6 percent over last weekend, as around 43.4 million shares changed hands at a value of VND1.27 trillion. Saigon Thuong Tin Commercial Bank or Sacombank (STB) led the list of most active shares in volume the fifth day with 2.34 million changing hands. Ocean Group Joint Stock Company (OGC) tagged along with 1.94 million shares trading up 4.99 percent. Sugar producer Société De Bourbon Tay Ninh (SBT) came in third with 1.6 million shares. Lam Son Sugar Joint Stock Corporation (LSS), Petro Vietnam Low Pressure Gas Distribution Joint Stock Company (PGD) and Viettronics Tan Binh Joint Stock Company (VTB) all climbed 5 percent to VND35,700, VND42,000, and VND18,900 respectively. From April 15 to June 15, Le Van Tam, chairman of Lam Son Sugar Joint Stock Corporation (LSS), had registered to buy 100,000 shares. He just purchased only 9,000 shares because prices were not as expected, increasing his current holdings to 359,590 shares, accounting for nearly 1.2 percent of the company’s chartered capital. Hanoi P&T Construction & Installation Joint Stock Company (HAS) surged 4.97 percent to VND16,900. On July 11, Robert Alexander Stone, a major shareholder of Hanoi P&T Construction & Installation Joint Stock Company (HAS) registered to sell 251,070 shares but was not able to sell because prices did not reach expected levels. His holdings were at 641,070 shares, accounting for 8.01 percent of the company’s chartered capital. 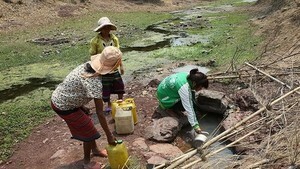 The Dongnai-based mining company Hoa An Joint Stock Company (DHA) gave up 34.48 percent to land at VND30,600. The company will pay dividends for current shareholders in cash with a ratio of 20 percent, and issue 5,020,468 additional shares with a ratio of 50 percent on August 12. Construction company De Tam Joint Stock Company (DTA) retreated 4.92 percent to VND30,900. Godaco Seafood Joint Stock Company (AGD) slumped 4.87 percent to VND37,100. 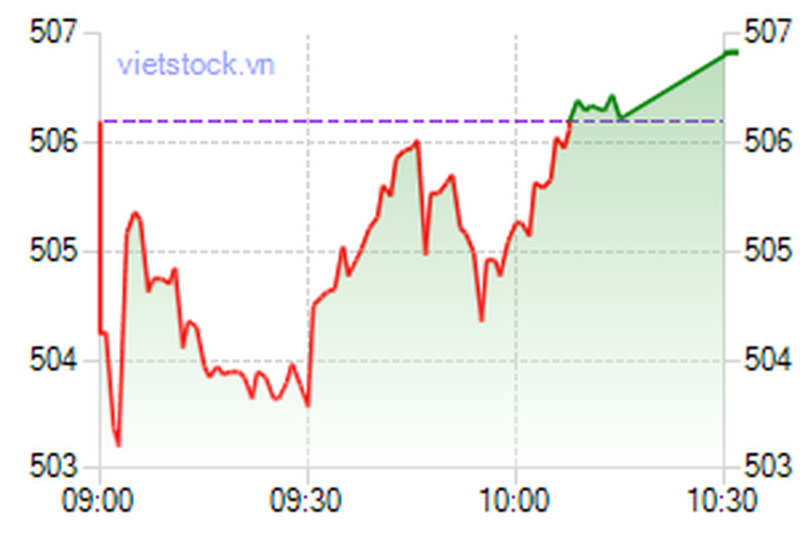 The Hanoi’s HNX-Index failed to make a U-turn, losing 0.75 points, or 0.47 percent, to close at 160.37. Trading volume rose slightly to 42.3 million shares, worth VND1.24 trillion. The UPCoM trading floor applied the continuous auction for the first day. However, liquidity had not improved after two hours of trading. The index of unlisted shares contracted 1.39 points, or 2.31 percent, to 58.7. Around 1.2 million shares were traded at VND22.1 billion, as of 11:15 am local time.